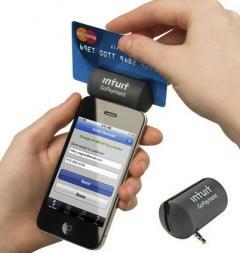 Newly unveiled, Intuit QuickBooks Point of Sale 2013 POS software organizes and tracks sales, customer information, and inventory counts. The new Cloud9 QuickBooks POS hosting using version 2013 includes improvements in the navigation and user interface, as well as a valuable new mobile sync feature. Combined with Cloud9’s virtual server (cloud computing) solution, the newest version of Intuit’s POS software offers an unparalleled advantage to account for and synchronize multiple business locations from a single ‘bank-level’ secure access point. With QuickBooks POS hosting of version 2013, business operators can also easily accept credit card transactions via smart-devices, iPads, iPhones, Droids, and Blackberries, so its natively mobile now, allowing shopkeepers and retailers to transact commerce anywhere, from the middle of an eatery to a vendor booth at a conference or a delivery at a job site. All smart device originated transaction and inventory updates instantly synced to QuickBooks POS 2013 hosted on the cloud. Cloud9’s award-wining 2013 QuickBooks POS hosting gives business operators several advantages, including having up to 20 locations use the same POS database to better organize sales and inventory in real time. 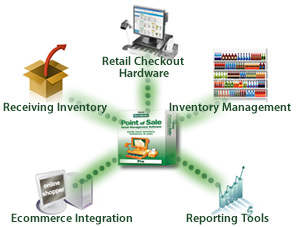 Moving POS to QuickBooks cloud hosting also frees businesses from IT and provides for anywhere/ anytime 24/7 access to their critical sales data, and integrate seamlessly with QuickBooks, even with multiple business locations connected. For this new POS software, Cloud9 Real Time is offering a subscription-based Point of Sale cloud-hosting plan that includes Cloud9’s leading cloud-hosting services, free support, and QuickBooks Point of Sale software leases for a single low monthly subscription. Cloud9 Real Time offers customized Cloud solutions for businesses to host all your applications, data and users in a single Virtual Office Solution. Remember us. Cloud9 Real Time is rated #1 in its class by Sleeter, the K2 Enterprises Tech Awards, and CPA Practice Advisor Readers’ Choice Awards. Find out what all of the excitement is about!